This paper extends our method to construct a shallow embedded domain specific language, DSL, embedded in a function programming language. 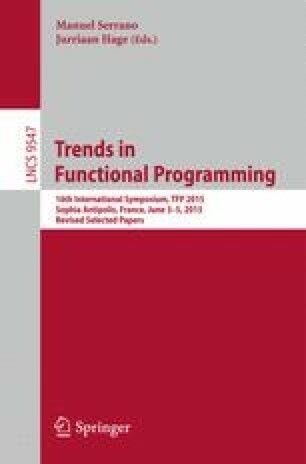 We show how one can add functions and tasks that are typed by the type system of the functional host language. The DSL is clearly separated from its host functional language to facilitate the compilation to small executables in C++. The type system of the host language verifies the types in the DSL, including the types and proper use of variables. The DSL is extendable by new language constructs and interpretations without breaking any existing code. The type system guarantees that everything used in a DSL program is properly defined. We apply these techniques for a DSL to program Arduino microprocessor systems from Clean. The long term goal is to incorporate these microprocessors in the iTask system. We thank the reviewers for their valuable feedback. The classes defining the core of ARDSL.